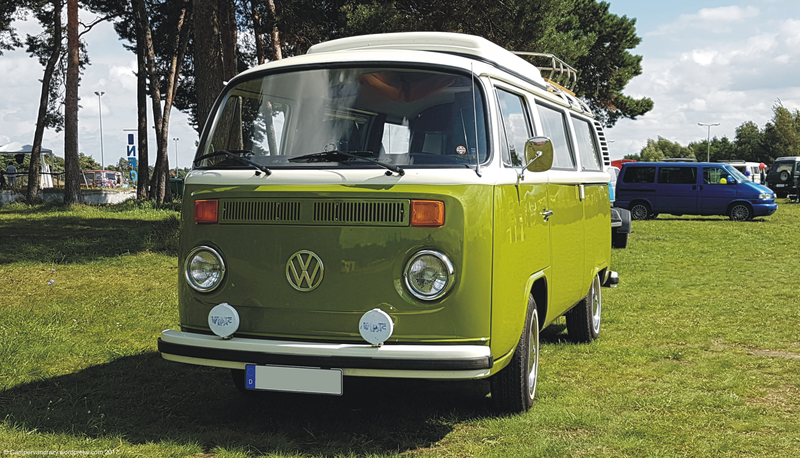 Sage green (Taiga Gruen, L63H) and white late bay window T2b Volkswagen campervan. Looks like Westfalia interior, but roof is not the standard fol up- but a central pop-up roof. Westfalia roofrack reproduction in the rear. View onto front and left side.